Target Center is a nice place to see with the entire family. We highly recommend that take your camera along too! It's just one of the many attractions that makes the city of Minneapolis - St. Paul popular all year round. 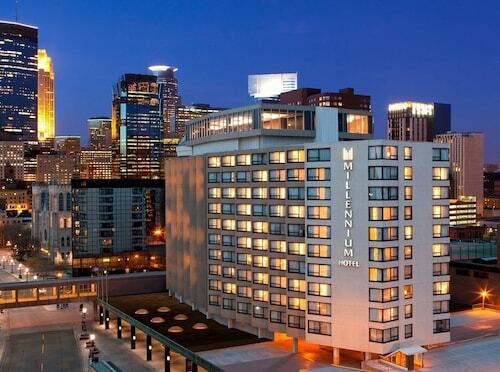 Since you'll be visiting Target Center, why not book a room in the immediate vicinity? With 25 nearby options, you will be able to find something just right. 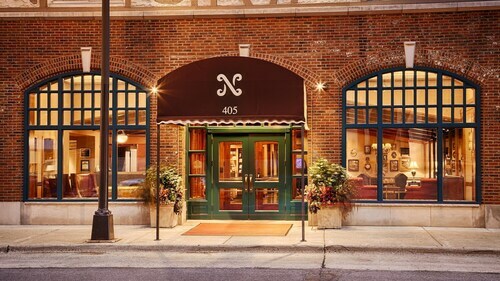 A few choices to look into are the Hotel Ivy, a Luxury Collection Hotel, Minneapolis, 0.6 miles (1.0 kilometer) away, the Residence Inn By Marriott Minneapolis Downtown, 0.2 miles (0.3 kilometers) away, and the Loews Minneapolis Hotel, just 0.06 miles (0.10 kilometers) away. It won't take you very long to realize the value of the surrounding area's more affordable hotels. Why not opt for one of the Days Inn Hotel on University and the University Inn? Intrepid travelers with a penchant for tasteful elegance will satisfy their desire by staying at one of the many reputable establishments here. 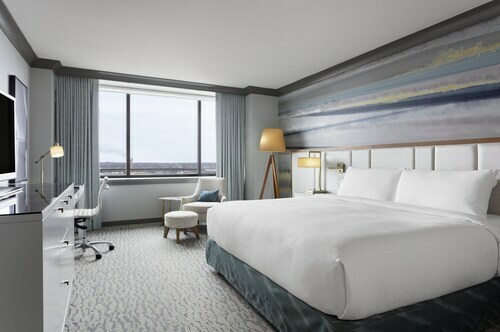 You can look into getting a room at the Radisson Blu Minneapolis Downtown or the Kimpton Grand Hotel Minneapolis, located just 0.2 miles (0.3 kilometers) and 0.4 miles (0.6 kilometers) away, respectively. If you need some time out, sit back with a crossword and a tea in a quiet corner of Starbucks (600 Hennepin Avenue, Minneapolis.) Belly still grumbling? Reserve a table at O'Donovan's Irish Pub (700 North 1st Avenue, Minneapolis,) a quality local eatery. See a play at Skyway Theatre and relax as you see the characters come to life. Delve into the world of theater when you see one of the many plays at New Century Theatre. Enjoy a selection of the local artistic events regularly offered by Hennepin Center for the Arts and become better acquainted with the local cultural scene. Liven up your evenings and partake in the area's art scene. State Theatre puts on a range of productions for you to enjoy. Be blown away by the talented actors performing at Orpheum Theatre and appreciate the amount of work which goes into a production. To visit Target Center, think about taking a train. The nearest station, Target Field Station, is 0.3 miles (0.5 kilometers) away. How Much is a Hotel Room in Target Center? 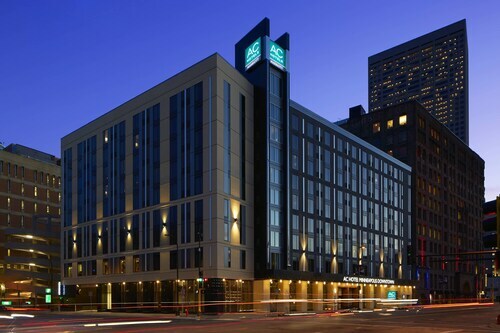 Hotels in Target Center start at $89 per night. Prices and availability subject to change. Additional terms may apply.